Our 250µm Polarization Maintaining Fiber Optic Cable Assemblies are ideal for applications where preserving Input Polarization is essential. 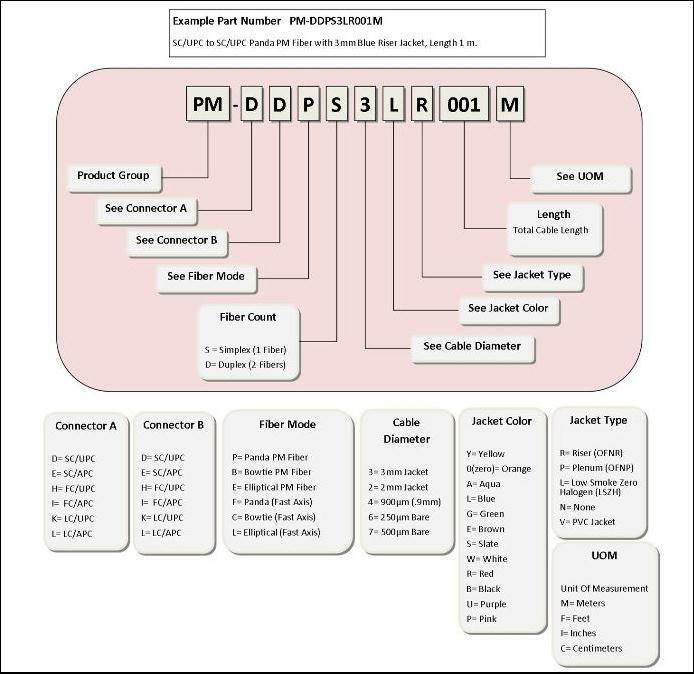 Our custom PM Fiber Cables come with a wide variety of options, including Fast / Slow Axis, PANDA / Bow-tie / Elliptical, Wide / Narrow Key, and various jackets and colors. Call or email us today to place an order or to receive a custom quote.